Warcraft Looks: Mixed Mogging Outfit - "The Golden Lioness"
Today's outfit is entitled "Golden Lioness" and was created by my wife April. It has a very strong "For the Alliance" feel to it with it's blue and gold coloration. 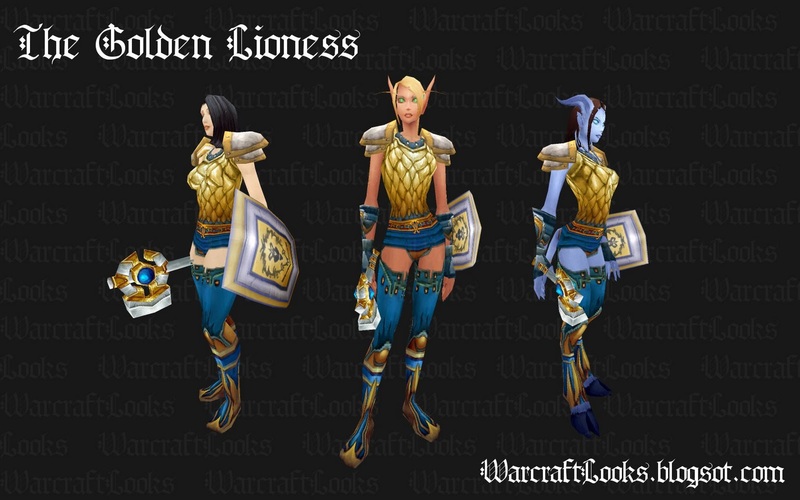 One thing to note is that this is a mixed mail/plate set (due to April leveling her Holy Paladin with mail heirloom chest and shoulders). This means this set won't be possible for a full-plate level 85 character. Still, I wanted to include it due to it's awesome look. Head past the jump for a full mogging item list. 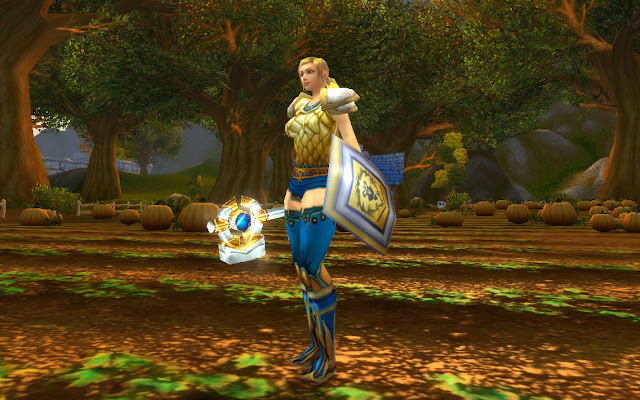 Here is April's paladin wearing the outfit. I love the way all the colors blend together. Making a set that transitions from one strong color to another is quite a challenge.